• CUSTOM STAGES: Add as many stages as you want in your league, whether it's round robin, group stage or a bracket. 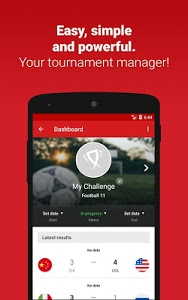 • TEAMS AND PLAYERS: Customize the competitors with images or photos. 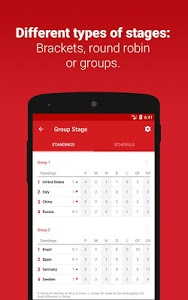 • GROUPS AND ROUNDS: Add the competitors to the groups manually or let Challenge Place make the draw for you, including generating the schedule of rounds and matches, if you want. 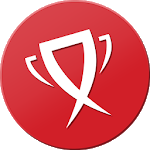 • BRACKET: Enter the number of competitors and let Challenge Place set up the perfect bracket for your championship, including double elimination brackets. 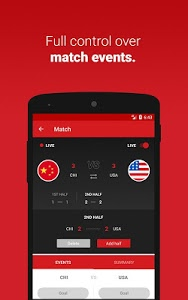 • MATCH EVENTS: Take control over everything that happens in the matches. Each modality has a series of pre-configured events to meet your needs, such as goals, assists and cards, in the case of football. 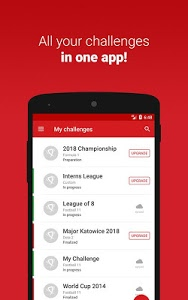 • CHAMPIONS: Select the champions at the end of each championship.